Allergy is a response of the immune system where the body’s defense react to a harmless substance such as pollen, food and even drugs. Almost anything can trigger an allergic reaction, which can range from mild and sometimes it can life-threatening. Most infants are allergic to food, especially egg and milk. After the age of 3, allergic children became tolerant with these foods, meanwhile allergy to inhalant allergens such as dust mite, become predominant. Rhinitis and asthma can be dominant allergies in older infants and childhood. Thus, allergies in young infants should be managed carefully by doing allergy tests to avoid the progressive development of respiratory allergies. 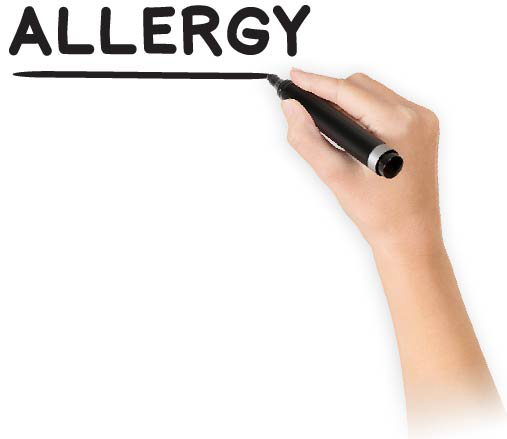 Allergens are substances that induce allergy symptoms. It usually consists of proteins often with enzyme properties. The allergens cause the production of a type of antibody, called IgE (Immunoglobulin E), that is specifically associated with the development of allergy. Almost any protein substance may act as an allergen but in the tropic, the following are highly allergenic: house dust mites and their faecal pellets, pet dander and common foods (egg, milk, peanuts, prawns and soybean). 2. How is allergy diagnosed?